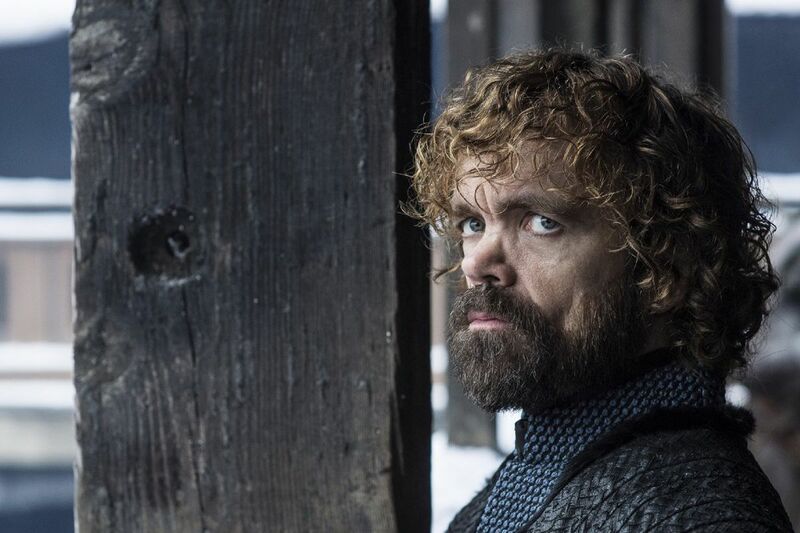 What does Game of Thrones’ season 8 premiere tell us about how the show ends? Is There Pizza Delivery on Easter? Google Doodle Celebrates Mary G. Ross. Peter Dinklage as Tyrion Lannister in the final season of Game of Thrones. At last, we’ve reached the beginning of the end. 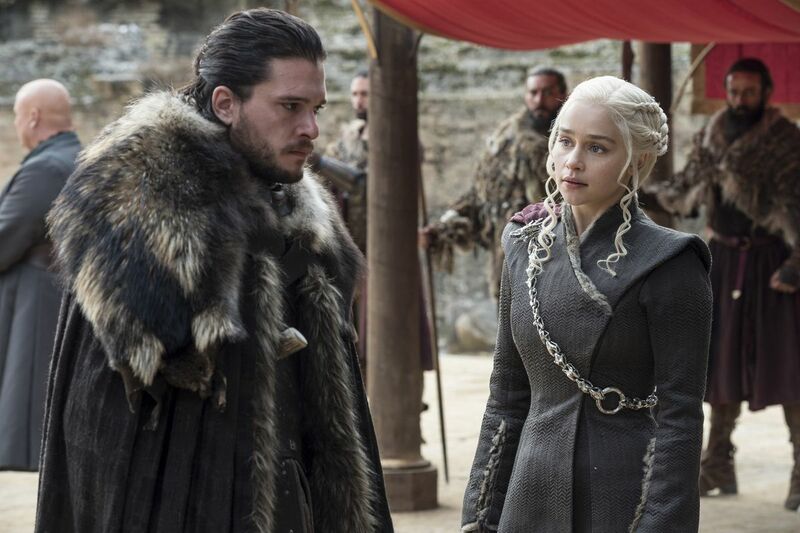 The first of the final six episodes of HBO’s blockbuster fantasy epic Game of Thrones has aired, and in a month and a half we’ll know how it all ends. In the meantime, critics and fans will engage in a flurry of speculation, picking apart each episode to figure out what it could mean for their favorite (and least favorite) characters, all the way up until May 19, when all of the answers have been given by the show itself. In keeping with that tradition, three of Vox’s culture writers sat down to discuss the season eight premiere, “Winterfell.” What might the episode tell us about Game of Thrones’ eventual series finale? Going forward, what should the Game of Thrones writers do (or, really, what do we hope they’ve done, since the whole season was shot last year) to give the show the ending it deserves? And will fans ever be satisfied, no matter what happens? Joining the conversation are critic-at-large Todd VanDerWerff, senior culture correspondent Alex Abad-Santos, and reporter and critic Alissa Wilkinson. Alissa Wilkinson: I was surprised by my experience watching this episode. I’ve come late to the show, out of professional obligation rather than any deep interest in it, and what I knew going in was that the show is very complicated, with many different stories and characters all happening at once. But after spending a few hours watching recap videos that covered the past seven seasons, I pretty much understood what was happening in this episode, and was able to Google whatever I didn’t get after it was over. You both have been watching it and writing about Game of Thrones for much longer than me. Should I be surprised that I was able to track with it so well? Alex Abad-Santos: The big thing that happened in season seven, beneath the cover of the Lannister army slaughter and the big White Walker rescue, was that Game of Thrones condensed its action into two locations and streamlined its roster of characters. The Martells, Olenna Tyrell, and Littlefinger all died in season seven — and their deaths followed the season six deaths of Rickon Stark, Tommen and Myrcella Baratheon, Hodor, Margaery and Loras Tyrell, and Doran and Trystane Martell, among others. And now the remaining characters are either in King’s Landing with Cersei or at Winterfell to battle the White Walkers. So that could mean Game of Thrones is now easier to track than it was in earlier seasons, when it felt like there was a constantly rotating carousel of characters in multiple locations. As what’s ahead, it feels like the big battle between the White Walkers and the forces of the living is gonna happen sooner than the end of the season. At least, that’s what I got from the premiere. Everyone’s setting up at Winterfell, and it feels like we’ll get one more episode — probably for Jaime and Bran and Tyrion to have little moments together — before the Night King crashes this party. My guess is that Cersei’s big battle with her new army, the Golden Company, will cap the show. 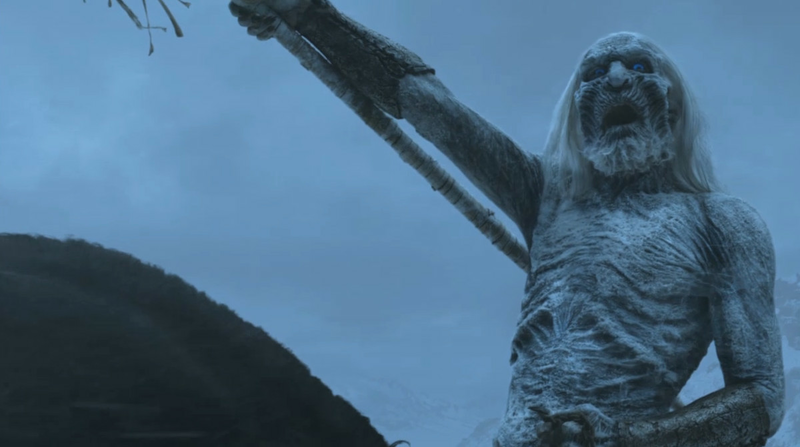 What are your predictions regarding the White Walker battle? Do you think we will spend another episode in Winterfell talking about feeding everyone and listening to everyone groan about Daenerys? What do you think the next episode will hold? Todd VanDerWerff: Well, we’ve gotta get a few more reunions out of the way in the next episode, for sure. Jaime and Bran, yes, but also Jaime and Brienne, and maybe they’ll kiss?? But George R.R. Martin’s books have always tried to push back against the “ultimate clash between good and evil” conceit, leading many Game of Thrones fans to believe that the White Walkers (called the “Others” in the books) will eventually be revealed to have a complexity of their own, even if they represent this massive threat to humanity. The TV show hasn’t seemed to consider that option, which made a lot of the jockeying in season seven and this premiere feel even more forced. Intellectually, I understand why Cersei is doing what she’s doing. But the way the show depicts her decision-making suggests that her story is mostly driven by the writers’ need to extend one of Game of Thrones’ core conflicts. It’s really odd how, where season seven felt like it was frantically moving pieces around the chessboard, this episode felt as if it was stretching even tiny conflicts to their absolute breaking point. Game of Thrones showrunners David Benioff and D.B. Weiss have said that they felt like this story would ultimately span 70 hours, and this is the first episode where I feel like they were marking time, just a little bit. I do think we’re going to see the battle with the White Walkers sooner, rather than later. But I also think that Jon, Dany, and their crew will lose pretty decisively, with heavy losses, which will lead to an alliance of convenience with Cersei as everybody retreats to King’s Landing. And then who knows what happens? What are your predictions for the next five episodes? What does this premiere tell us about where the show is going? 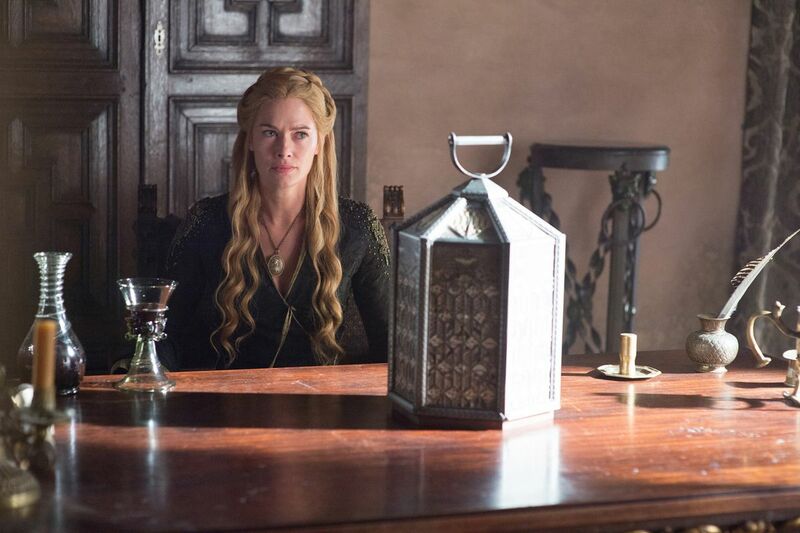 Alissa: Having come late to Game of Thrones, it’s hard for me to make any real predictions. But maybe that frees me up to wonder aloud about the show’s ending. The one thing I know about Game of Thrones is that everyone seems set up for disappointment. People are used to all their faves dying unceremoniously (and few being resurrected again). But so much of the interest around this final season seems built on whether fans will be left happy or angry. And there are many shades of feeling in between. Like, what if Cersei ends up staying on the Iron Throne, as opposed to Jon or Dany or someone a little more edgy, like Arya? Or what if, I don’t know, the Night King takes it? Would you be upset if the obvious choice — which seems to be Jon — actually wins out in the end? I know Martin has indicated that he doesn’t want Game of Thrones’ story to end in an obvious manner. But at this point, I’m not even clear on what the obvious manner would be. Throughout the show’s run, the only thing that’s seemed obvious is that nobody is indispensable, and that a minor character can suddenly become a major character, almost without notice. If I didn’t know that, I’d think it was clear that Jon was about to win the Game he never seemed to want to be playing. That almost seems set up from the pilot, which this episode at times seemed to be mirroring. But the fact that I think it’s so obvious is exactly why it seems unlikely. What do you think? Alex: Deep down, I actually wouldn’t mind Cersei winning the entire thing. Clearly she’s more ambitious than Jon or Dany, savvier than Jaime, more strategic than Tyrion, and willing to do more than any other character on the show to keep her power. When it comes to “ending in an obvious manner,” it seems that any ending with Jon Snow commanding the seven realms would be kind of obvious. In the season eight premiere, everyone is suddenly turning on Daenerys, and the audience is reminded constantly that he’s the heir to the Iron Throne because he is the son of Rhaegar Targaryen and Lyanna Stark. But I think it would be kind of a shame for him to take it, since he’s just okay at everything. Meanwhile, Sansa has shown herself to be smarter and more clever than Jon (see: “Battle of the Bastards,” when she warned him about Ramsay). Arya is just as deadly. Daenerys has freed people from chains and commands literal dragons. Cersei is much more strategic. And Jaime has had the bigger change of heart. Will Jon or Daenerys end up taking the throne after all? I would be okay with that. Todd, do you believe there’s room in the world of Game of Thrones for a Melisandre spinoff? Maybe she just shows up at the diner and surprises her friends? Maybe the show ends in a Melisandre voiceover about how winter is really the season for love, and then she makes a pun about a cold war? 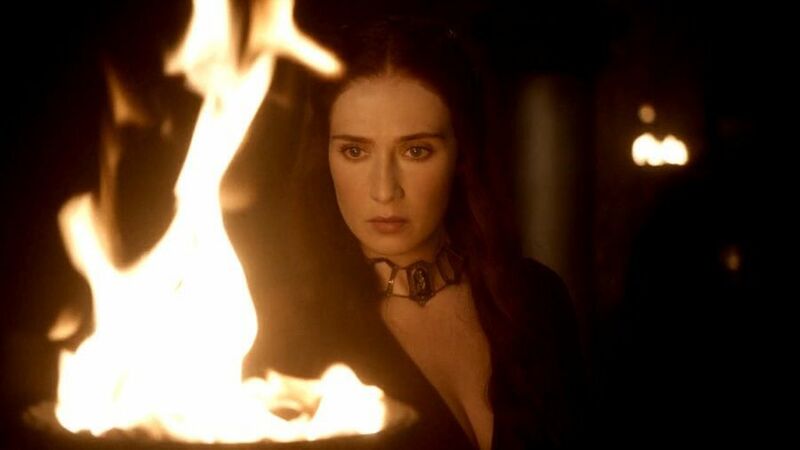 Todd: What I want to see is Melisandre moving to Florida to hang out with the crew from Cougar Town, because I feel like she’d have a good time playing Penny Can and/or drinking wine with Jules and company. And also because it would be great to force Game of Thrones and Cougar Town to exist within the same fictional universe. I tend to believe there’s not much Game of Thrones can do to end in a way that most of its fanbase finds satisfying. Some of the fanbase? Sure. A good deal of the fanbase? Why not. But most? That strikes me as an opportunity the show passed on long ago. The problem is that Game of Thrones has long been built atop subversions of fantasy tropes, but this late in the show’s run, there’s not much left to subvert. Jon and Dany are both different spins on the Chosen One archetype, Cersei is a spin on the evil queen archetype, and the White Walkers are an existential horror best defined as the “evil” side of a “good vs. evil” battle. To be sure, most of the show’s characters are more complicated versions of these archetypes. The “good” characters aren’t so “good.” But we have no reason to think of the White Walkers as anything other than interchangeable zombie hordes. I’m sure the show could end up surprising me in a good way, but the problem with always doing the unpredictable thing is that we start to try to predict everything we can, even subconsciously, which makes it harder to feel surprised when we see whatever the writers have cooked up. Yet isn’t this a problem that every single hit TV show that ends has to navigate? And some of them have stuck the landing! Maybe Game of Thrones will, too. The premiere, at least, tried to decelerate season seven’s wild momentum in favor of character stuff. That’s the right call, even if I found it kind of bland. What lessons do you hope Game of Thrones learns from other TV endings? Probably what Game of Thrones shouldn’t do, though, is something wildly out of character for the show. Which is why the satisfactory ending would be the wrong one. A more daring series might opt to freak the people out, make them angry, do something wild and absurd and then run away clutching fistfuls of HBO cash. But for all its world-building and twisty-turniness, Game of Thrones doesn’t strike me as all that formally daring. So I’m fearing the worst. Or, ooh! Ooh! Take a page from the Twin Peaks notebook, and end with a terrifying existential scream! Alex: I want a happy montage with a voiceover from Melisandre. Or maybe the remaining survivors could just play piano and sing together. That would be great. Todd: Game of Thrones is now a massive franchise. There are numerous spinoffs in development. If the ending rankles even one or two super-fans, that will endanger the whole enterprise, and God knows we need that prequel series starring Naomi Watts. I’m fine with a happy ending. I’m even fine with a “Jon and Dany rule justly and well” ending, because it contains within it the idea that, for as much as they are the new boss, they are the same as the old boss when it comes to incestual relations between powerful rulers. But I think the ending that Game of Thrones most deserves is the one that will be really, really hard to build to in just five more episodes of television: one where the entire system is broken apart and replaced by something else. I’d love to see the show try that, to see the Iron Throne melted down into something new in the series’ final sequence. But I also don’t know how it would ever have the impact it might have had even a couple of seasons ago, because the show has increasingly strayed from these larger questions about power, in favor of big, cool moments. A six-episode final run is a great opportunity to do a big final battle (or series of battles). I’m not sure it’s a great opportunity to question the underpinnings of power itself. But if Game of Thrones doesn’t question those underpinnings in detail as it winds down, it will have missed the mark when it comes to what made it so popular in the first place.